Featuring a 75mm (3") diameter roller ball bearing sheave which suits up to 14mm (9/16") rope. It also has an upper becket to dead end a mainsheet up to 20mm (3/4") diameter. 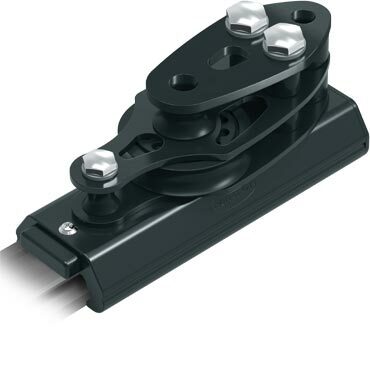 Control end sheaves are 75mm (3”) diameter and suit up to 14mm (9/16”) rope.